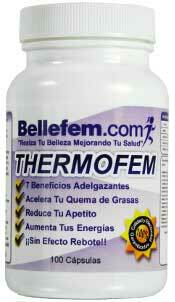 Thermofem is a diet pill manufactured for the Spanish market under the Bellefem brand name. Customers who purchase the pills are told they can expect to lose up to 4.15 kilos (9.15 pounds) every 19 days, without the risk of side effects. The official sales page also claims Thermofem is the “best diet pill in the world”. That’s a hard statement to prove, but the product has been on the market since 2004, and thousands of dieters have left feedback stating Thermofem works, so it’s hard to argue with those claims. Thermofem also make purchasing easier with multiple options to pay such as cash on delivery, Western Union and of course credit card. Dieters who decide to speed up their weight loss by using Thermofem are provided with lengthy and detailed usage instructions. They are also give access to experts who can offer weight loss advice. So there is no going it alone. This is very impressive and is probably a big part of the reason for the product’s ongoing success. Positives: Good ingredients, highly reputable company, Lots of positive testimonials. What is Thermofem and How Does it Work? Thermofem is a diet pill designed to support weight loss in a number of ways. If the formulation works as intended, dieters who use the pills in the recommended manner will burn existing stores of fat faster than they could with diet and exercise alone. They will also find it easier to eat less food without feeling hungry all the time or lacking in energy. L-Tyrosine (250mg): An amino acid that is often used in nootropic supplements because it has the ability to improve the mood. Caffeine (100mg): A stimulant that is good for providing extra vigor and can be found in many brands of energy drink, including Red Bull. Clinical trials show caffeine has the ability to boost the metabolism and encourage thermogenic fat burning. Caffeine also has the ability to suppress the appetite, and it’s a natural diuretic, so its inclusion here serves many functions. Green Tea Extract (100mg): Green tea contains a lot of antioxidants that can protect the body from disease and help ensure good health. Scientific research shows some of the antioxidants (catechins) provided by green tea have the ability to speed up fat loss. Citrus Aurantium Extract (6% Synephrine) (75mg): A species of citrus fruit. Research shows the synephrine (a stimulant) provided by citrus aurantium can boost the metabolism and increase energy expenditure by an amount that is sufficient to support weight loss. Black Pepper (5% Piperin) (50mg): The piperine alkaloid that occurs naturally in black pepper provides it with its unique taste. It is often added to supplements because it helps ease the smooth absorption of other ingredients. Usage Instructions – intended to be used in accordance with the guidelines set out by the manufacturer. 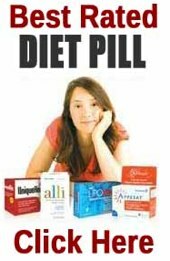 The guidelines are very detailed and provide nine different ways the pills can be used to boost weight loss. New users always begin with a reduced dose. During the first week only one pill is required per day and this should be taken half-an-hour before breakfast. 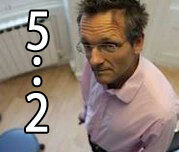 The dosage is gradually increased at a rate of one pill per week. The maximum dose is two pills, taken three times per day. Thermofem is unlikely to be suitable for women who are pregnant or nursing a child. Anyone who has existing health problems, or is using medication, should seek a doctor’s advice prior to using Thermofem or any other brand of supplement. Customers are offered a “100% Satisfaction” guarantee. The combination of ingredients used in Thermofem should be capable of providing the level of weight loss promised and it has to be said the pills are much cheaper to buy than many competing products that are of lesser value. Customer feedback also shows Thermofem is a diet pill that works, and the pills are backed by a money back guarantee. Is Thermofem really the best diet pill in the world? That’s hard to say, but we have to admit it certainly appears to be one of the best, and anyone who uses it in the recommended manner should start to see their extra weight disappearing more quickly. Each bottle of Thermofem contains enough pills to last for 20 days (when taking the maximum dose). The RRP is €50 per bottle but, at the time of this review, the price had been reduced to just €39 and it was possible to secure additional value for money by taking advantage of bulk buy incentives. Customer can use COD (cash on delivery), cash deposits and Western Union – as well as credit or debit card.